UltraCompare专业版是一款文件/文档对比工具，它具有对比文本文档，文件夹，文本资料，以及压缩文件和jar文件的功能.UltraCompare 可以实现 文本对比, 二进制文档对比 以及实现进行对比的文档间的 不同点的整合. 你有一些文件夹需要进行对比吗? UltraCompare也可以实现文件夹对比 – 包括当地/网络目录对比,压缩文档对比和FTP对比.UltraCompare支持自动简单的文件夹同步化, 而且也支持 复制文档finder. With support for 3-way compare, folder sync, Excel file compare, and a lot more. Easily compare entire folders with UltraCompare, even over FTP and network shares. Keep folders in sync, and merge with ease. Folder compare delivers unparalleled control over any file system. 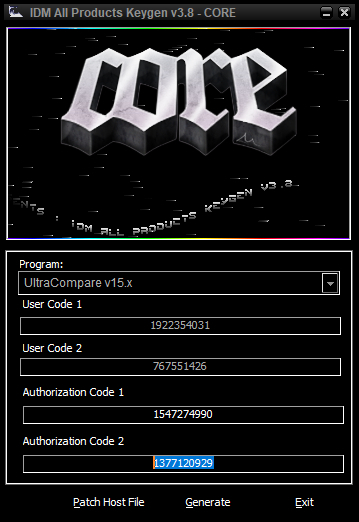 UltraCompare can perform its powerful file comparison, merging and sync functions on Excel files and plain CSV files. 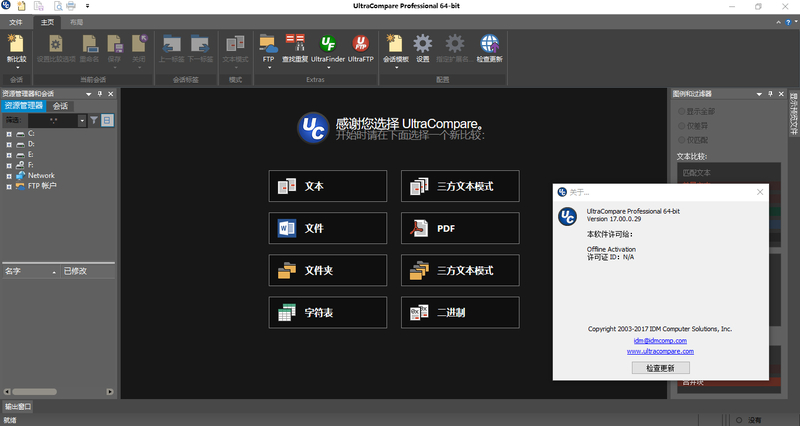 UltraCompare works directly with UltraEdit and UEStudio. Easily open all of the files in your active UltraCompare session in UltraEdit or UEStudio at the click of a button. Working with source control systems can be quite messy at times. But with a few simple edits to your source control configuration, UltraCompare can help make some of those messy moments more manageable.